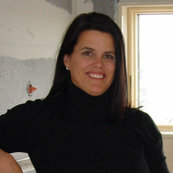 My husband and I have hired Linda to do multiple design and reno projects at our country house -- over a period of 10-15 years. She redesigned and renovated our kitchen and bathrooms, plus added an addition to our house which consisted of a playroom, bathroom and closet. She also designed bookcases for our living room. Along the way, she has also refinished floors, had rooms painted, and more! Linda is a consummate professional and her personal approach to both the design and contract work always gave us the utmost confidence. She lives close to our home (and we don't) -- and is very familiar with local rules & regs -- which was also a big plus. And I must add that she does beautiful work, which has kept us coming back to her time and time again.